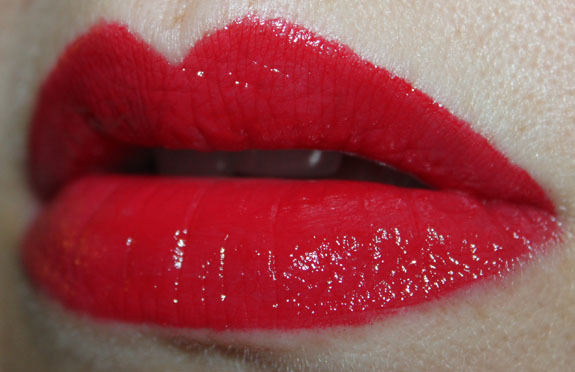 Get ready to find your perfect red lip color! Something about the way this collection looks makes me totally love it. The gold and red gives off a very retro 1960’s vibe and the lipstick tube is FABULOUS! 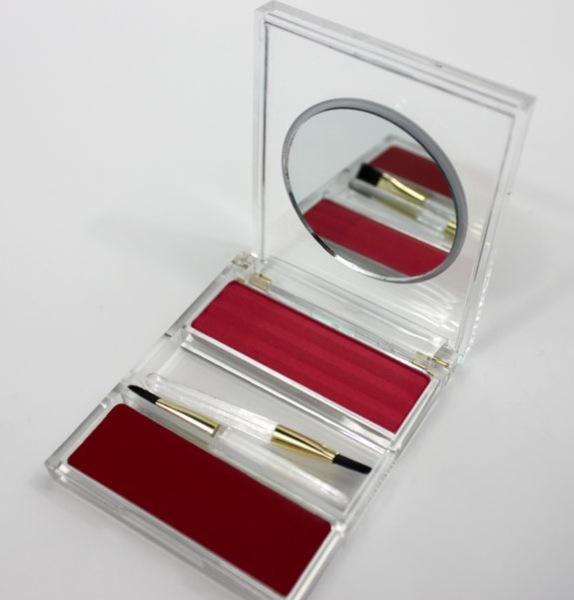 I love the idea behind this rouge lip palette. It’s so very retro and cool. The concept behind this is that you can either wear the semi-matte lipstick by itself for a kind of lip stain effect, or add the powder on top of it for a very mate velvety look. I do warn you though, the powder feels very matte and kind of drying so if you have dry lips, this might not be the look for you. 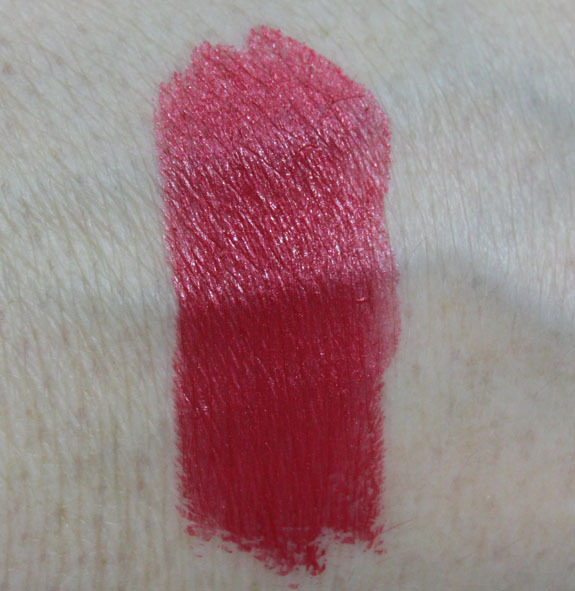 DeVine Anna Lipstick is a bright medium red with very, very subtle shimmer and a pinkish under-tone to it. It’s extremely creamy and feels so great going on the lips. Really moisturizing and easy to apply. 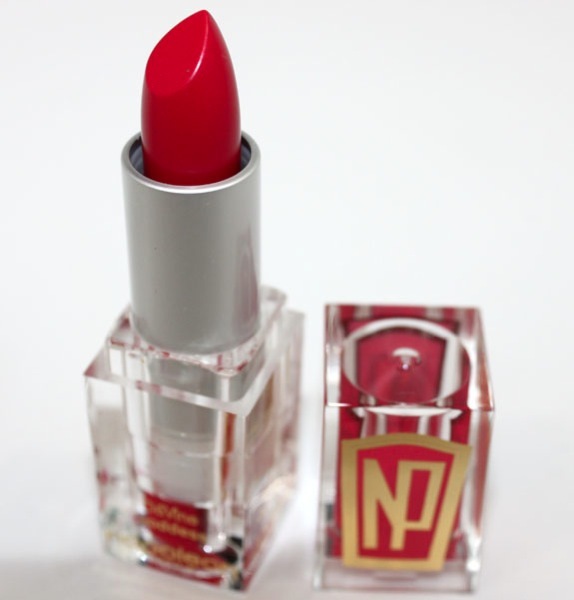 If you are just venturing into a brighter red lipstick, this one might be a great starting point because while it’s bright, it’s not OVERLY bright or extreme like some reds can be. And isn’t the tube great? It just looks cool to me and feels really great in my hand. I like the heaviness, square edges and see-through container a lot! Front Row Red Lip Gloss is a very vivid classic red gloss. 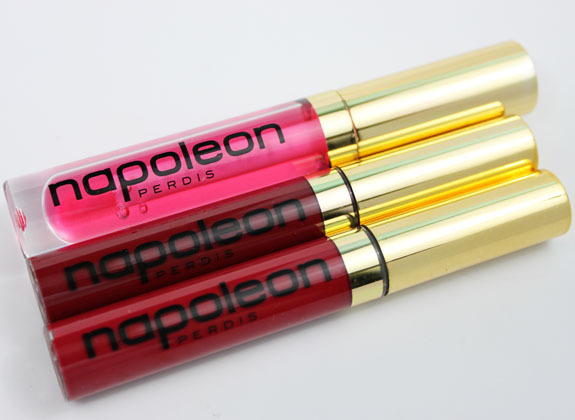 This combines lipstick and gloss so you get really great opaque easy to apply coverage and a shiny finish. It goes on SO easily and evenly, I was actually really impressed! It feels really moisturizing thanks to the Brazil Nut Seed Oil in it, and they claim it lasts up to 10 hours. Not sure on that but I loved it! 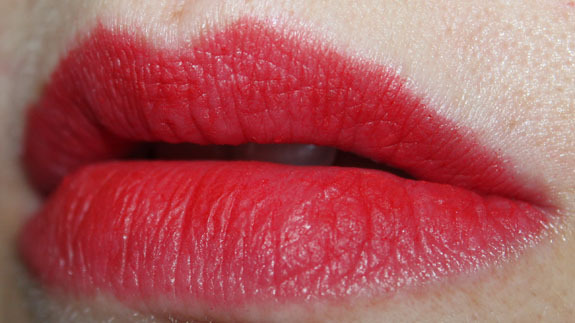 Lady in Red Lip Gloss is also a lipstick/lip gloss hybrid but in a deeper red color and with a very different finish. It applies wet but dries to a very matte finish. I found it really difficult to get the coverage even on my lips though. It just doesn’t want to work with me that easily. And it definitely feels a bit drying to me, despite the Argan Oil in it. Not sold on this one sadly! 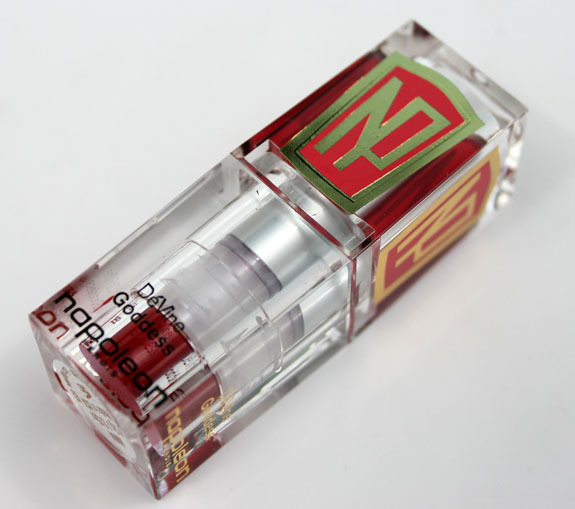 Undercover Red Lip Gloss claims that it self-adjusts into your very own shade of red that suits you best. On me it did pretty much nothing. 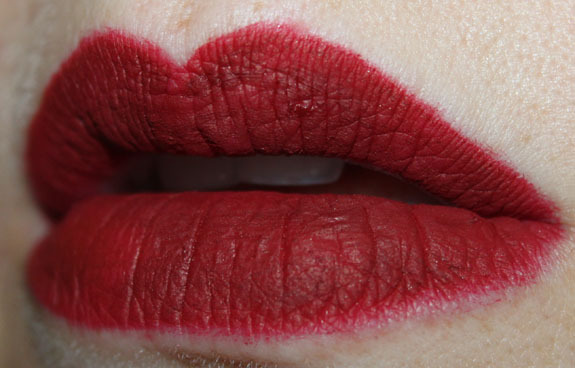 It looked exactly on my lips like it does in the swatch photo above. Just a very sheer pink/clear gloss. I feel there were some hits and misses here, but overall I love the idea of this collection. The best colors in my book were the DeVine Anna Lipstick and the Front Row Red Lip Gloss. 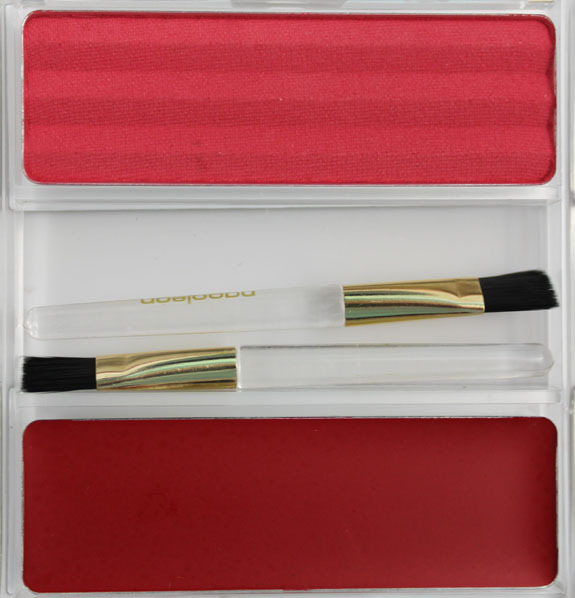 I really like the Undercover Agent Rouge Lip Palette as well. I wish Lady in Red Lip Gloss applied more evenly because I think the color is great. 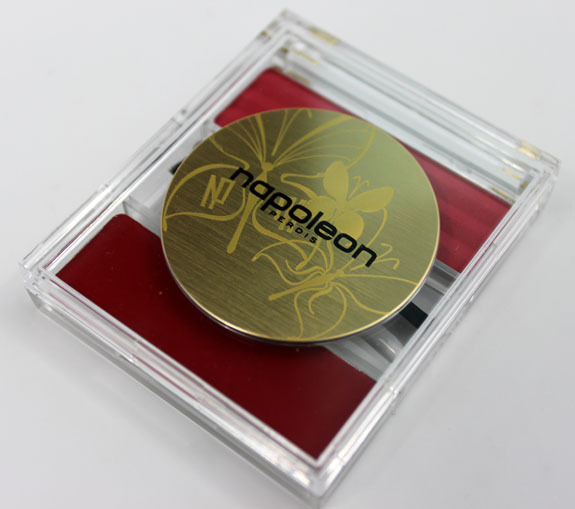 Availability: Napoleon Perdis Concept Stores, Dillard’s, Von Maur and their website. What do you think? Is your perfect red in here somewhere? Vampy Varnish 3rd Birthday Giveaway Extravaganza – Day 4! Lady in Red seems tricky. I am thinking its not supposed to have even coverage. maybe its supposed to be darker on the edges of you lips and then fade in towards the inside? This guy knows how to make red lips. I wanted one that he was selling on QVC but was not fast enough to get it before it sold out so am waited listed now. Front Row Red is GORGEOUS! 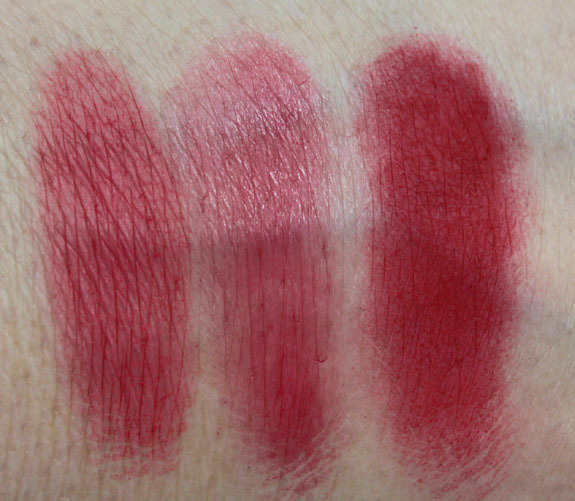 I really love Lady in Red but find it hard to justify buying it at $25.00 since the color comes across a bit uneven. The Double Agent Rouge Lip Palette is quite nice. This collection is a really cool idea. Red lips are popular and classic. It’s great to have many options when it comes to wearing the color. I don’t tend to wear red on my lips, but I loved seeing these colours on you. Wow, there are some seriously gorgeous reds in there! 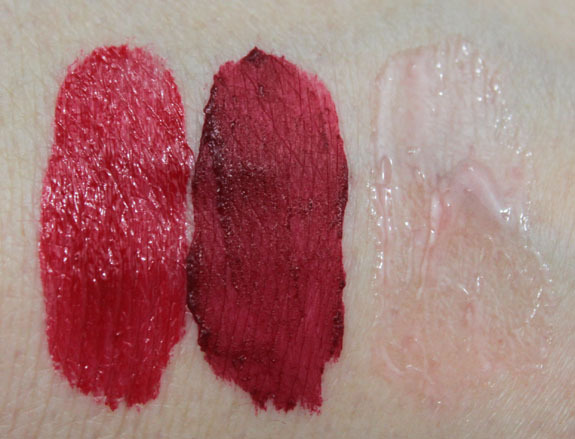 Here I like the lipstick and lip glosses, if I had to pick only one of these it would be Front Row Red. Never liked lip palettes, can’t explain why…. Love reds, but not sure the price is worth it. I have had really good luck with MAC lipsticks (e.g. Russian Red), which are about $18. 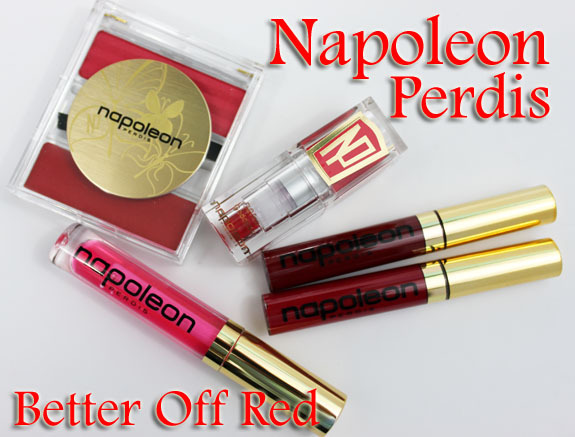 Recently, Revlon has been coming up with some excellent reds, and their formula has been really good. I usually pay about $8 for Revlon lipsticks, so they are good value for the price. There are some amazing reds in there! I really like the look of this collection. What a really pretty collection of reds. I love red lipstick! I have quite a few and don’t wear them often enough. I also like the packaging. You look fantastic in them. Lady In Red lip gloss is my favorite. These shades look great on you! I especially like the lipstick by itself. Thank you for the suggestion, Jacqueline! I love the IDEA of lipstain, but most of them dry out my lips. I’m the kind of person who has to have a good lip moisturizer on me at all times–I keep a couple in the car and in every makeup bag and purse I own. Now I want to check out all of the Sephora cream lipstains. I’m a little nervous about red lipstick. I always feel so conspicuous whenever I feel brave enough to try it. I also suspect that I haven’t found the right one. Instead of looking great (like Gwen Stefani, for instance), I feel a bit like a clown. I really envy people who can wear red with confidence. And the Front Row Red Lipgloss is gorgeous on you! I love red lips. I just wish I could pull it off more. These shades look great on you! I love the concept of the lip palette.